Steph – The Spirit and the Bride say, come. Steph – Hey wait a sec. The Spirit and the Bride. The Spirit in the Bride. The Restrainer. Steph – Hmmmm. Wonder if the Greek specifies whether it is “and” or “in” or if it leaves it blank. Gotta go look! Rohit – Why have thou forsaken me? And at the ninth hour, Jesus shouted in a loud voice, “Eloi Eloi lama sabachthani?” which is translated, “My God, my God, why have you forsaken me?” It is the only saying that appears in more than one Gospel, and is a quote from Psalms 22:1. This saying is taken by some as an abandonment of the Son by the Father. What if.. The Triune God craves to be with himself. 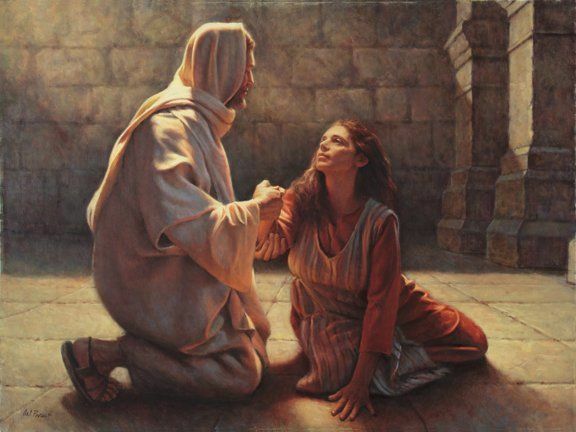 Steph – I don’t think the Spirit-Bride Restrainer pair is saying “come” to the people, although an invitation for all to come to Jesus follows. I think the Spirit-filled Bride is saying come to JESUS, as in “Come Lord Jesus”. Maranatha. Isn’t it usually taught that they are saying to come to salvation? Maybe I’ve never thought about it this much before. Steph – “I am coming” (Jesus) “Yes please come!” (Spirit-filled Bride). Isn’t that what the Spirit in us cries and cries and cries for???? Rohit – We crave his glory, His coming – All creation awaits. Steph – Come! Please come!!! Maranatha, come Lord Jesus! Blessed is He who comes in the name of the Lord! Rohit – Thy kingdom come, Thy will be done. Rohit – Holy spirit + Bride Crave God so all can be fulfilled. Genesis – Beginning; Revelation – End. That’s why all Creation groans and awaits. Steph – Still sitting here kinda stunned, digesting. Rohit – The Lord’s prayer. Jesus prays for His kingdom to come, for His will to be done. Jesus told us “Pray like this after I’m gone”. Rohit – It’s what Jesus wants. What the Father wants. Steph – What the Holy Spirit wants. The Holy Spirit wants to go back to the Father. He was sent as a DEPOSIT. So we can be rescued. Rohit – He was craving Himself when He prayed, so that all comes to pass and he can take his beloved home to be with him (triune). Rohit – That’s the whole bible. Steph – I know the Holy Spirit is a person. But… it NEVER occurred to me that He wants to go back to God as much as we do. Thus… He prays WITH us “Come, Lord Jesus”. Sometimes with a groaning so deep that words cannot express. Rohit – The end of all things. God with us Eternal. Rohit – Bingo. His love… We are his beloved… Come…. Steph – I read a blog one time, stuck with me. It paired belief in a pretribulation rapture with salvation in that… If you don’t really believe Jesus is coming back… If you don’t believe he will rescue you… Do you truly believe he will save you? I mean, rapture (earthly rescue) is surely “easier” than salvation (eternal rescue) truly (salvation). I don’t think I’d go that far but it made me think, that’s all. Anyways that’s all just speculation. Salvation is a heart issue. I believe all believers will be raptured regardless of rapture beliefs. Rohit -Sadly rapture is not being taught. Born again don’t know rapture is close. Steph – The Spirit in believers should surely be quickening. Calling “Come”. Steph The cry of my heart is for everyone to call in unison – Come. Rohit – God is holy. Love. How can it be mid or post trib. We are his beloved. He died for us. Ultimate sacrifice. Steph – He brought me to His banqueting table, His banner over me is love. Steph – The big picture is just overwhelming. Rohit – My God, my God, why hast thou forsaken me? [why art thou] far from my salvation, from the words of my groaning? Psalm 22:1 Darby Translation (DARBY) In the original Hebrew translation, read this… רָח֥וֹק why are You so] me? Far מִֽ֝ישׁוּעָתִ֗י from my deliverance Psalm 22.:1 Hebrew translation. Rohit – Consider this. Imagine being totally in love with your beloved. You get separated for some reason. Won’t you be crying out, lamenting, craving to be with your beloved? Why aren’t we together? I’m suffering… Why have you forsaken me? Why are you so far away from me? Steph -The cry of Christ on the cross, the cry of the Holy Spirit within us…. A deep anguished gutteral cry to be united with our beloved. I cannot fathom Christ’s suffering on the cross, at His separation from the Father. But I would agree that the feeling in my heart of hearts is a “grunts and groans that words cannot express” longing for deliverance…. How long, oh Lord (why are you so far from my deliverance)? The Spirit-Bride pair says COME!!!!! Come Lord Jesus!!! !